The Rajapalayam dog hails from India particularly from Tamil Nadu state. 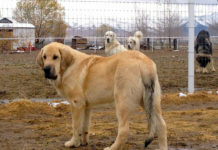 The breed has been named after the district ‘‘Rajapalayam” where it originated. 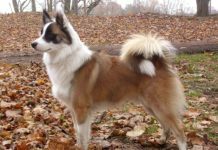 This breed of dog used to be a companions of royal and aristocrat people in south India. It was predominately used for hunting wild boar. The dog is also prized for its protective instincts towards the loved one. He has been formidable guard dog since inception. 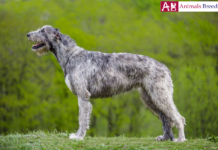 Though they are born sighthound but with little training they can also be used as scenthound. A dog trained in scenting activities can be used for detecting drugs or tracking mission. The dog is “touch sensitive” which means it doesn’t like to be touched by strangers or people it doesn’t like. It also gets startled when anyone touches it suddenly. Usually it gets attached to one member of the family who is in charge of food and exercise of the dog. But it is definitely affectionate towards other members of the family too. 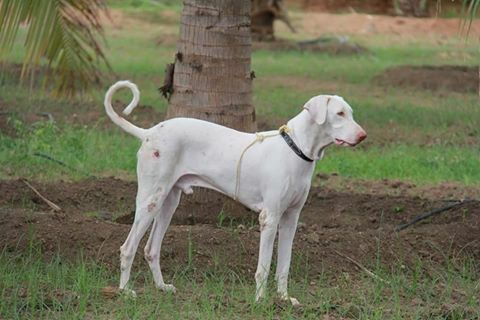 The Rajapalayam dog is breathtakingly beautiful. 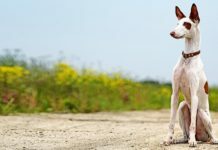 It is one of the India’s most beautiful dog breed. 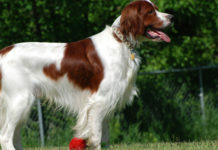 The dog is mostly milky white in color with red nose and golden eyes. It is aesthetically pleasing to eyes and has gait similar to that of a horse. The roots of the dog lie in Rajapalayam district of Tamil Nadu which is in southern part of India. It is speculated that the dog was bred by Nayakar dynasty of Tamil Nadu. 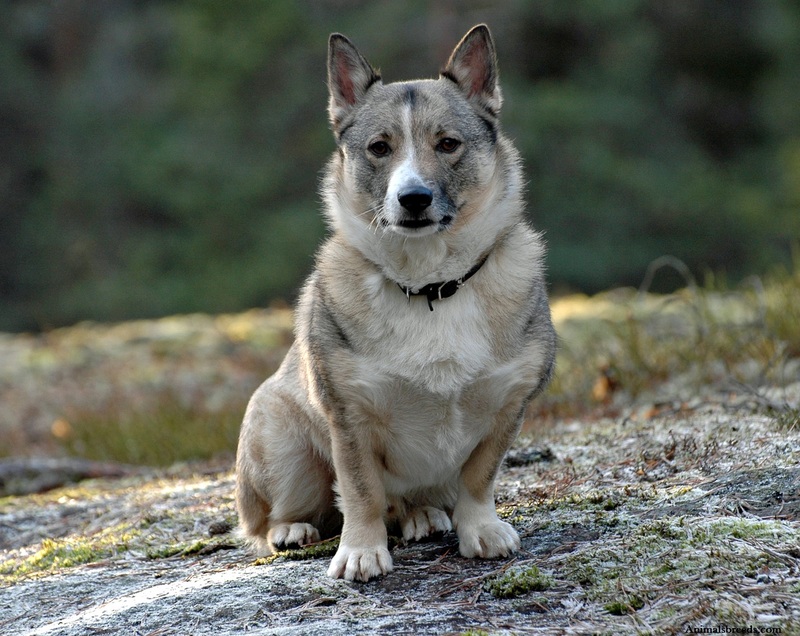 This breed was used to be companions of royal people. The primarily job of the breed was to hunt large animals particularly wild boar. Once upon a time, four Rajapalayam dogs saved the life of a king by fighting a lion. 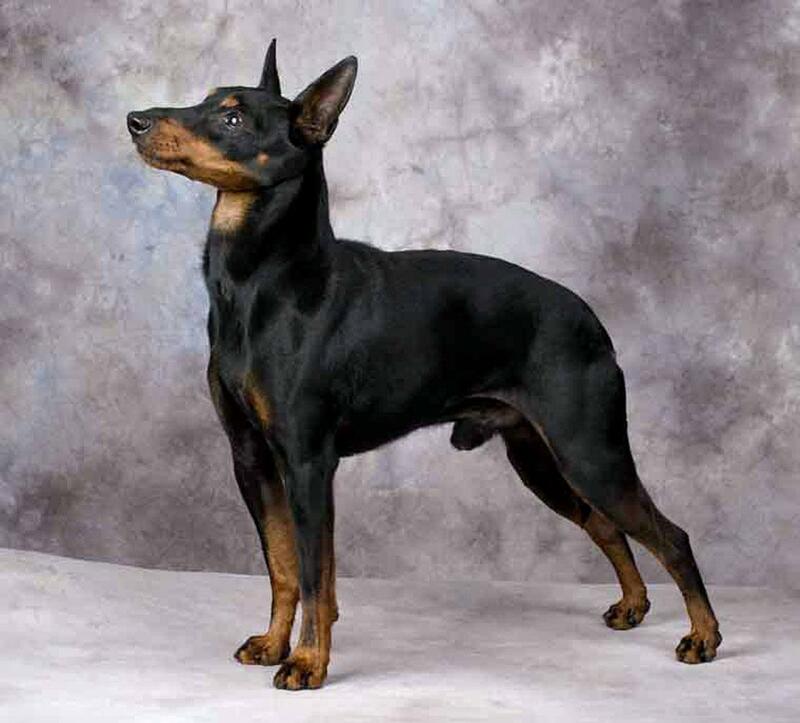 This breed was also used for guarding estates and rice fields. The dog is incredibly agile and was also used to fight against British cavalry. Archeologists say that this breed was used in development of Dalmatian breed. 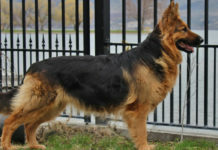 In the last two decades, this breed of dogs is being used by Indian Armed Force as guard dog to protect Kashmir border. The dog requires strong headed owner for training as it tends to be opinionated and obstinate. The Rajapalayam is a large dog of noble appearance. It is slim and sleek with graceful looks. The dog has wedged shaped forehead and artistically designed muzzle which is pointed. The dog has hanging ears of floppy shape. 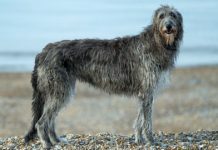 As compared to other sighthounds it has heavily boned but speed of the dog is similar to any other sighthounds. The nose of the dog is of flesh color which adds beauty to its face. The dog has well arched neck with deep chest. The tail of the dog is slightly curved. Overall the dog looks surreal which can make anyone fall in love with it. The ideal height of the dog is 65 – 75 cm and the average weight is 20-25 kg. 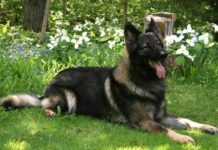 The dog has short and fine coat which appears glossy. The most common color of the breed is milky white. 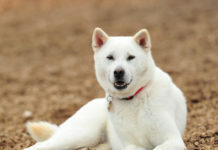 People also say that the dog has attributed albino features in its appearance. The dogs also come in other colors like black and brown. 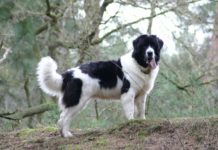 Personality – It is a well-mannered and cultured dog. It is neither yappy like other breeds of dog not it will follow you inside house to get attention. The dog is gentle and sweet with every member of the dog family. No matter how cute they look, the dogs don’t like to be touched without their consent. Do not touch them all of a sudden when are engaged in some other activity. Like other scenthounds, they are a lover of luxurious lifestyle. You can find them laying in sofa or bed as if they own the furniture. Behavior – The dog is known for its courageous and righteous attitude. It was used to hunt wild board so they are born to tackle fearful situations. It is wary of strangers and will always be suspicious of guests welcomed by you. The dog is highly loyal and no matter what it will never accept them as part of its pack. 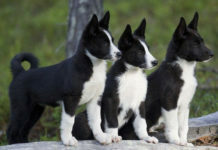 If the animal is introduced to this breed from puppyhood, it will treat that animal as part of its pack. They are aggressive towards other stray animals. 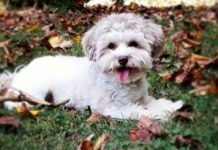 Activities Requirement – The dog has natural desire to run. They should be given opportunity to run in a secured area. It loves to catch ball by taking full advantage of its height. 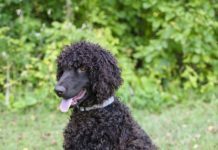 Trainability – The first and foremost class of its training should start with socializing the dog with good people and animals so that it can get accustomed to new faces and surroundings. This will make sure it doesn’t get overly protective. The second vital step is to establish you as pack leader. A well-balanced diet is required for optimum development of the dog. You can give high quality canned food which is free of preservatives. Meat, bacon, rice and fruits should also be given. Yoghurts as well as cottage cheese are good for dogs. The dog can live up to 10-12 years. 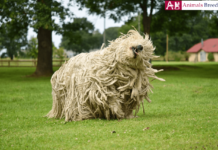 This breed is not hypoallergenic. The Rajapalayam is healthy breed but it can be born with deafness or blindness. Puppies that have blue colored eyes are more likely to suffer from blindness. The dog is super easy to groom. They are odor less dog and has dirt repellent coat. Weekly brush its coat for blood circulation and to make its coat debris free. 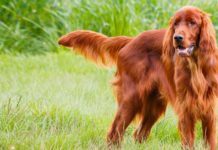 Other grooming regime like brushing its teeth, clipping its nails and cleaning its ears are similar to other breeds of dog. As the dog is naturally clean so it doesn’t need to be bathed frequently. The dog needs space to thrive happily. 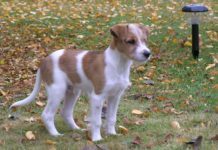 As it was bred in India so the dog is adaptable to all weather conditions in India. The dog has an easy care coat. The dog is not so easy to train and requires experienced hand in training.